Sixteen years ago, America was launched into a tragedy we didn’t think possible. Our society was forever changed that day. Our children are still living with the fallout. We lost nearly 3,000 priceless lives that day. 9/11 changed how we view those around us, how we define security, and what we’re willing to sacrifice for it. 9/11 launched 2.7 million soldiers into combat in Iraq and Afghanistan—I was one of them. My kids weren’t alive in 2001. So how they understand this defining moment in our history depends a lot on me. Here’s what I want them to know. 1. I want them to see that, yes, our world is scary… and then choose to love anyway. I don’t shield my kids from the awful reality of 9/11—how terrified I felt watching the Twin Towers fall, the uncertainty we all experienced in the aftermath of the attacks, or how quickly afterward the drums of war that ultimately sent me to Iraq started beating. My kids have open access to my war story. Their questions have often been bold, always scary, and sometimes achingly simple. I don’t shield my kids, because I want them to listen close. I want them to hear—not the shock and awe of the terror story, but the part that comes after that. The part of my story where love storms in and remakes what violence broke. When we talk honestly with our kids about fear, it gives them a chance to see how love can push back against the darkness. The horrific act of destruction carried out by 19 men pales in comparison to the power of love when we come together in response to violence. In the days after 9/11, millions of people rushed to donate, volunteer, honor, grieve, and defy hate. Other countries gathered America close and declared the attacks were a crime against the whole world, not just the people of America. When my kids listen close, they bear witness to the power of love to create the next part of the story, to unmake violence. My kids aren’t scared, because they’ve heard about people who chose to love anyway. 2. I want them to know who they are. I’ve never forgotten her invitation—how simple it can be to decide who you are. “Where are the helpers, mom?” That’s the question I want my kids to ask when we talk about 9/11. 3. I want them to know that love overpowers hate—every single time. The people who attacked America on 9/11 believed that violence was the best way. In the aftermath, all of us were tempted by the belief we could set things right with a few acts of shock and awe. And yet there was another story, even as the dust settled 16 years ago: people reaching across enemy lines, even then. Muslims standing in solidarity with their fellow Americans. We can still see it in our world today if we know where to look. My kids have seen how violence can summon a strength that wasn’t there before, how we can unmake violence with our love. We’ve seen it in Mosul, when you’ve stood with those trapped in the fight against ISIS. We’ve seen it in Syria, when chemical agents poisoned the lungs of children and you said, “Those aren’t just anyone’s children. They’re ourchildren too.” We’ve seen it this past week in Houston, as your love has showed up in overlooked neighborhoods affected by Hurricane Harvey. My kids saw it after Charlottesville, when we stood with other members of our community in a vigil against racism. They saw it last year after bullets rained down on Orlando. On that terrible day, love looked like a plate of chocolate chip cookies, left by my sons on our neighbors’ doorstep. This was their act of rushing in. This was 9- and 10-year-old love stomping out the hate in their own neighborhood. 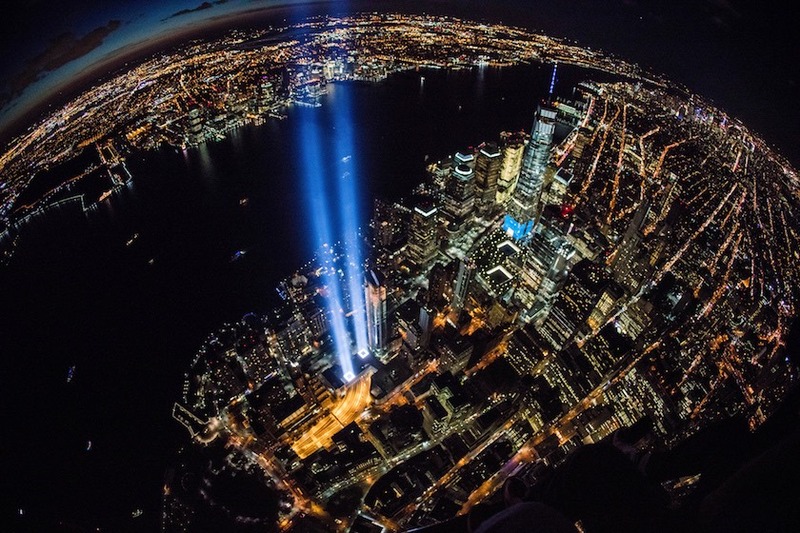 Everything changed on September 11, 2001. Our children are looking to us to make sense of it. They are looking to us for an answer to violence. They are looking to us to tell them how to walk in this precarious world they live in. What are we going to say? Let’s tell them how the terrorists plotted to unmake us—and how, in response, we choose to love harder. Let’s look our kids in the eye and remind them that they are made for this world. They are the helpers. Lets show them how to look the scariness of the world in the eye and choose to love anyway. Love breaks darkness—every single time.